Seizing upon the success of James Cameron’s Story of Science Fiction, AMC is bringing another six-part genre exploration to the screen in October, and fittingly, it’s horror-focused. 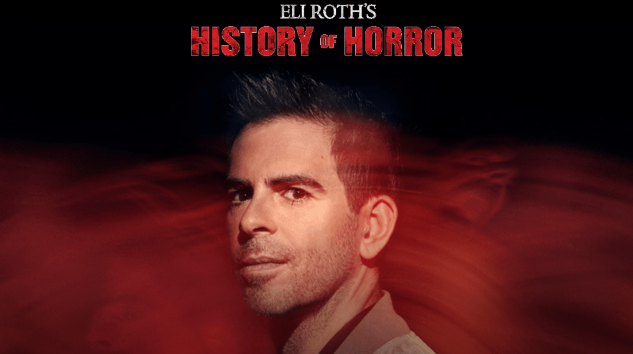 Eli Roth’s History of Horror will take advantage of the extreme passion of its host—Roth is well known for appearing as a talking head in many horror documentaries—to take viewers on a series of one-hour “explorations of how horror has evolved through the eras and impacted society, as well as why loyal fans remain addicted to fear.” The series will premiere on Sunday, Oct. 14 at midnight—sounds spooky. A-list guests on the series include the likes of Stephen King, Quentin Tarantino, Jordan Peele, Jason Blum, Robert Englund, Linda Blair, Tippi Hedren, Rob Zombie, Haley Joel Osment, Jack Black, John Landis, Jamie Lee Curtis and more. All of the guests will be invited to discuss horror’s most poignant themes, inspirations and challenges. Roth of course refers to such horror masters as George A. Romero, Tobe Hooper and Wes Craven, who have all passed away in recent years, and who would have been obvious guests for such an endeavor. As for his own pedigree, Roth has been well known in horror circles ever since his flesh-eating virus directorial debut, Cabin Fever, in 2002. Since that time he’s produced the likes of Hostel, the thriller Knock Knock and 2013’s The Green Inferno, his tribute to Ruggero Deodato-style Italian “cannibals in the jungle” movies, ‘ala the infamous Cannibal Holocaust. We look forward to seeing some very passionate horror fans discussing what they love about the genre. In the meantime, you can check out Paste’s own list of the 100 best horror movies of all time.